Rural development and poverty alleviation are a priority for development in South Africa. Information and knowledge are key strategic resources for social and economic development, as they empower rural communities with the ability to expand their choices through knowing what works best in their communities. 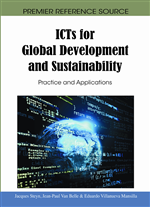 Information Communication Technologies (ICTs) act as tools which enable existing rural development activities. The Siyakhula living lab (SLL) aims to develop and field-test a distributed, multifunctional community communication platform, using localization through innovation, to deploy in marginalized communities in South Africa. The project exists as research collaboration between the Telkom Centres of Excellence at the University of Fort Hare and Rhodes University. Its current pilot operates in the Mbashe municipal area, which is a deep rural area located along the wild coast of the Eastern Cape province of South Africa. The Dwesa-Cweba Nature Reserve acts as a chief asset in the community, which contributes to tourism development. However, the community is currently not actively involved in tourism development; but potential exists in local arts, crafts, and authentic heritage tourism. Therefore, the SLL aspires to empower the community with appropriate communication technology skills to actively support tourism development and other complementary development activities, such as, education. The lessons learned and applied in the project’s current pilot stage identify techniques and approaches that aim to promote the effectiveness and sustainability of the ICT project in a rural context. These approaches and techniques are viewed and described from social-cultural, institutional, economic, and technological perspectives.